Value buy and worth the money spend! Fast delivery. Always big fans of Nestlé products! 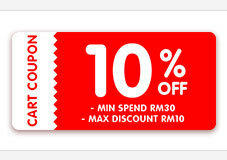 Good value, can use voucher and get it on cheapest price !!!!!!!! fast delivery, second time purchase, the taste is good. Found 1 cup abnormal.. can be refer attach file.. service tip top.. Thanks..